.. but only after Lululemon went there first. 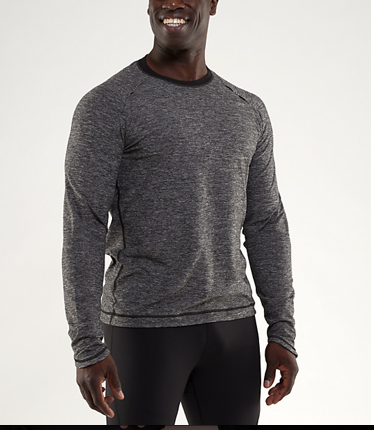 I’ve been holding back on posting this after attention was drawn to it on the Lululemon Facebook Page (apparently this product shot is politically sensitive..but if you ask me I think some peoples imaginations are getting the best of them). *Awkward Pause*…anyways. 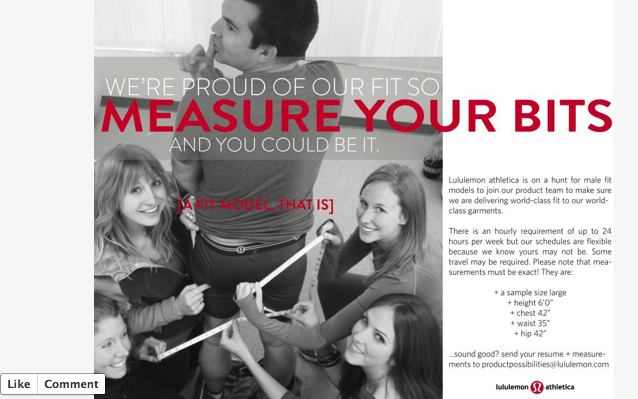 It seems lululemon is currently hiring for a male (and female) fit models. Seriously Lulu, forget that unsavory John Galt crap for ad campaigns and stick to this stuff. This has me actually laughing out loud (and then emailing the link to all the male members of my family suggesting they apply as fit models, athletes they are not).